Mary Ann knows the impact of long-term care on women. She designs plans with women in mind. They know how caregiving can be a huge burden. They know their spouse will not be the best caregiver. An advance plan with affordable Long-Term Care Insurance will make aging easier on everyone. If you do an internet search on long-term care it will return a substantial amount of information. Longevity is a major retirement planning concern. As you prepare for retirement not planning for the financial costs and burdens associated with aging will negatively affect your future income and lifestyle. 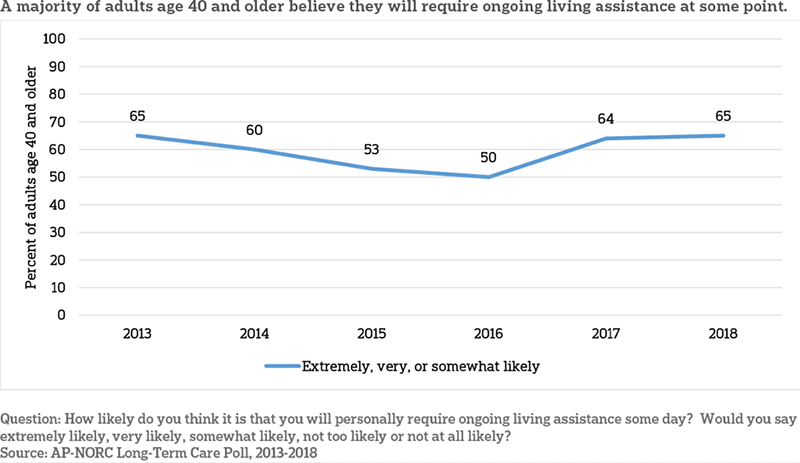 The result is many more Americans own Long-Term Care Insurance to protect their future retirements and reduce the stress that is placed on the extended family. In 2018, the major insurance companies paid over $10.3 Billion in benefits from these policies to American families. It should be no surprise that women are the biggest beneficiary of these policies. According to a Long-Term Care Insurance claims study nearly two-thirds of benefits went to women. The study was conducted by the American Association for Long-Term Care Insurance (AALTCI), a national consumer education and advocacy group. "Women account for 64 percent of Long-Term Care Insurance claims, men for 36 percent," said Jesse Slome, director of AALTCI. The claims data shared to the AALTCI by seven of the largest companies in Long-Term Care Insurance. 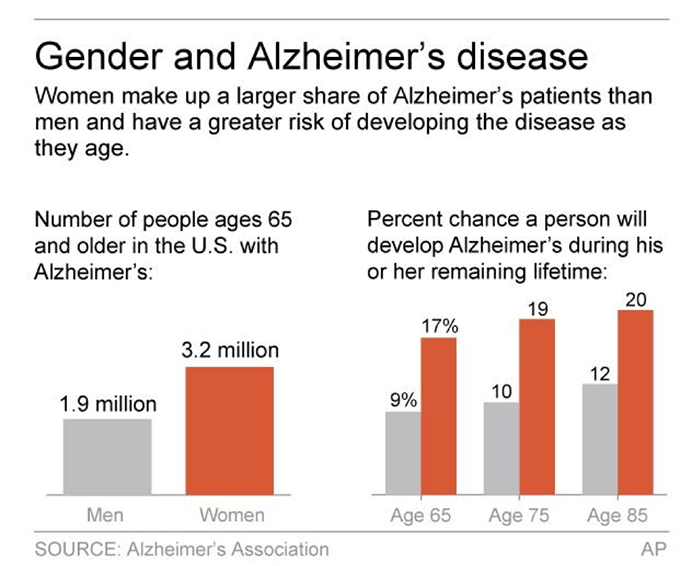 "Women are likely to need long-term care for a variety of reasons that generally result from living longer lives as well as conditions like dementia and Alzheimer's disease," Slome explained. The issue of long-term care has long been considered a women’s issue. Multiple generations of women are impacted because of long-term care. Generally, women become the first caregivers. Without Long-Term Care Insurance family members become caregivers even before paid care is sought. As men usually decline first, the wife is often the first caregiver. By the time a woman requires care, the husband has often either pass-away or not in a position to be a caregiver. Suzi Orman, a nationally known financial expert, has long recommended American families purchase Long-Term Care Insurance. She points out this importance on her website www.suzeorman.com. “Given our increasingly long-life spans and the fast-rising cost of health care, an LTCi policy can be the linchpin of a secure retirement,” Orman writes. She says because of the risk, women should be sure to plan ahead and consider Long-Term Care Insurance. “And it is doubly important for women to consider. According to the Society of Actuaries, a woman alive at age 65 has a one-in-three chance of still being alive at age 90. And if that 65-year-old woman happens to be in very good health the odds of being alive at 90 rises to more than 40%. In other words, there’s a good chance you could live a very long life,” Orman explained. Since women live longer, they experience more cognitive impairment which leads to long-term care. The U.S. Department of Health and Human Services reports seven in ten Americans who reach the age of 65 will require some type of long-term care service before they pass. These costs will come from your savings and income as most of the costs are not covered by health insurance, including Medicare and Medicare Supplements. Only a small amount of skilled care is covered. Unless you plan in advance, the costs will impact you, your family, your savings, and your lifestyle. Many people are planning. The realization that the impact of long-term care on their savings and family members can be devastating is driving more people to consider options like Long-Term Care Insurance. A recent poll conducted by the Associated Press-NORC Center for Public Affairs says most Americans understand this risk. • Burden – People don’t want to burden their spouses and adult children when they get older. Being a caregiver is stressful and impacts the caregiver’s health, career, and their family. • Asset Protection – Usually the primary concern is protecting the lifestyle of the other spouse. Often, the wife. Generally, a man will experience a long-term care event before the woman. The wife may have many more years of lifespan afterwards. The protection of savings to maintain the spouse’s lifestyle is essential. Legacy is also important for some people. The ability to leave something to children and grand-children can also be a consideration. 45 states offer Long-Term Care Partnership policies which provide additional asset protection. • Choice of Quality Care – Long-Term Care Insurance provides the tax-free resources to pay for care in the setting you desire, either at home, adult day care facilities, assisted living facilities, memory care, and nursing homes. This means you can select the location and quality of the care. • Independence and Control – Too often the adult children make decisions on behalf of Mom or Dad. With Long-Term Care Insurance, you will remain in control without putting the responsibility on others. Managing a plan of care can be almost as stressful as being a caregiver. Most Long-Term Care Insurance policies provide case management which allows the family time to just be family. While long-term care is an issue which impacts women, men play an important role. Men are taking better care of themselves and as they do their risk for needing long-term care increases because of longevity. Many companies offer shared spousal benefits. Several other options are available which can match your concerns. Asset-based “hybrid’ policies exist which provide death benefits if you are lucky enough to never require care. A qualified Long-Term Care Insurance specialist can assist you in finding appropriate coverage. The best time to plan is prior to retirement when you enjoy better health and premiums are much lower. Find a qualified specialist by clicking here. You can start online research by finding the current cost of care in your state and the availability of partnership plans and tax incentives. Find your state on the LTC NEWS MAP by clicking here. Long-Term Care Insurance is an affordable way to address the problems with getting older and the burdens otherwise placed on those you love. The polices work by giving you the resources to protect savings and ease the burdens on those you love.